This post was sponsored by Pottery Barn. All opinions expressed are my own. Long, dark nights and cold days do not have to be bad things! Embrace the opportunity to cozy up in your home and get your “hygge” on. Hygge represents those moments when you are calm and at peace, enjoying the company of a good friend or someone you love, perhaps wrapped in a warm blanket or your favorite thick cardigan, sipping on a mug of something delicious. 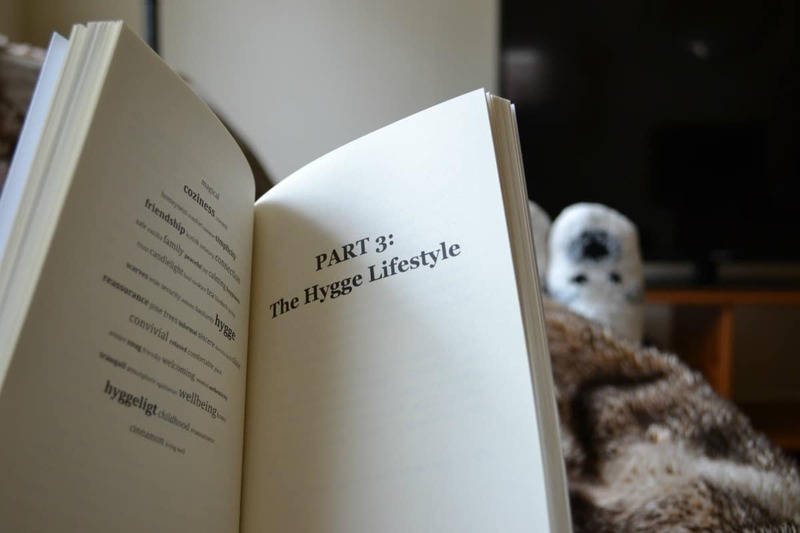 In a book called “The Cozy Life,” by Pia Edberg, hygge is described as “a safe haven protecting you from anything bad out there, and surrounding yourself with things you love.” Who couldn’t use a little bit of that right now? Denmark is consistently ranked as the happiest country on the world, and I believe their devotion to hygge is a big reason why. Even when it’s cold and dark for the majority of the day in Denmark, they make the most of it by indulging in their coziest clothes, favorite people, most comforting foods and drinks, and fluffy, warm blankets and pillows. The weather in Houston can’t compare to the weather Denmark, but I still enjoy creating a hyggeligt home (Yes, that’s actually a term!). When the weather cools down and the evenings become dark earlier and earlier, it’s my cue that it’s time to swap out more summery linens and blankets with cozy wintery ones, light my favorite scented candles or turn on my essential oil diffuser, get out a good book, and make a cup of tea. 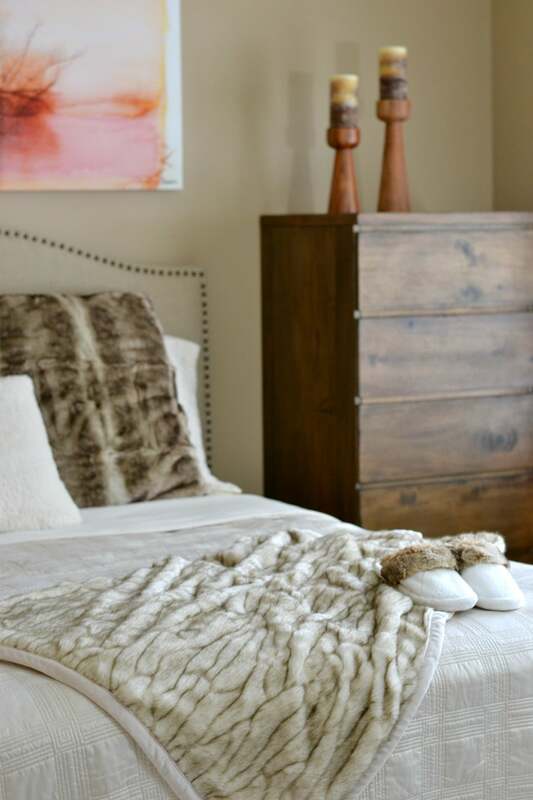 I love using faux fur in my home during the wintery months because it feels AND looks amazingly cozy. 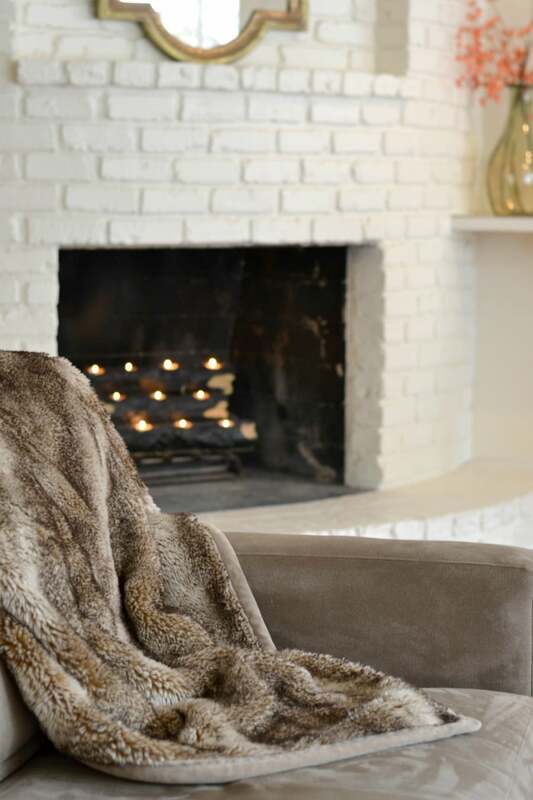 Pottery Barn has always been my go-to for beautiful, high quality faux fur items that last for years. My living room is where I often use faux fur pillows and throws, but I’ve also added some cozy touches to our guest bedroom. Our guest room gets a lot of use from visiting friends and family members throughout the fall and winter, and I want to make an effort to make it warm and inviting. 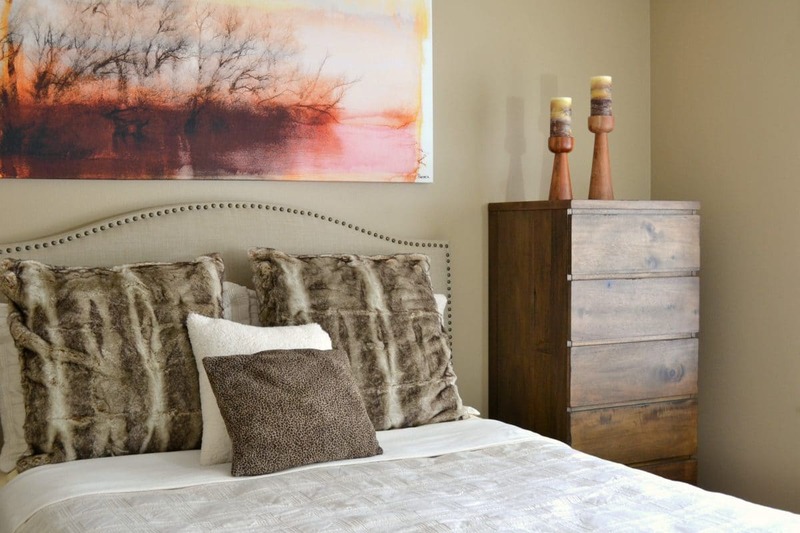 I want our guests to feel like our guest room is a “home away from home,” so that they’ll want to keep coming back! How can you not want to visit when I’ve got these cozy slippers waiting for you!!?? Talk to me! Have you heard of “hygge” before? 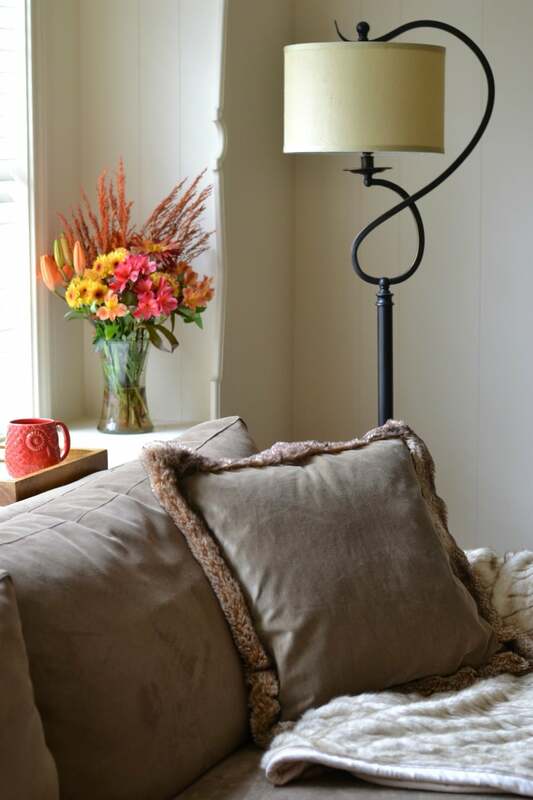 What are your favorite ways to make your home cozy in the fall and winter? 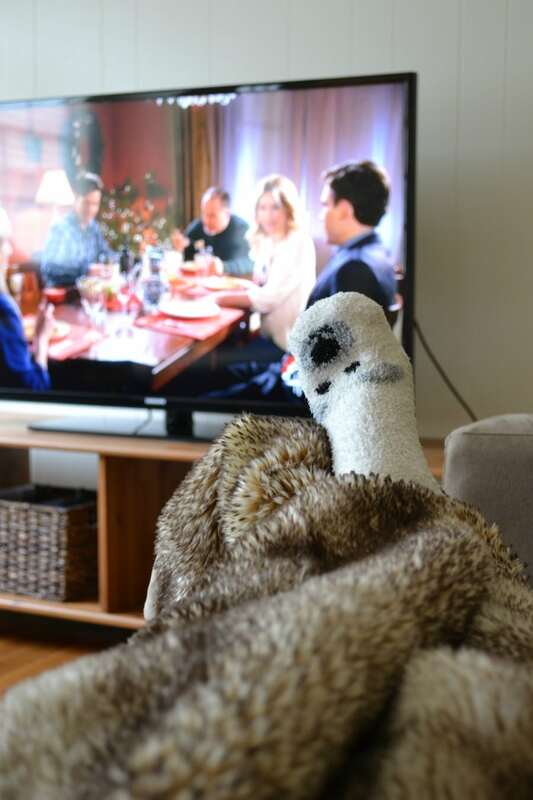 Do you love cheesy Hallmark Christmas movies as much as I do? Please share in the comments! Hi Alyssa, I was happy to find your pasta fagioli soup recipe yesterday. My mother was born in Italy, my father was Italian as well. I don’t remember my mom ever making this soup, but I believe my grandmother did. I get excited when I see this soup listed as a special in a restaurant; however, I am disappointed when they bring it to the table. I made the soup last night, and yes, this is the real deal. My husband and I enjoyed it along with some crusty bread. Thank you! !